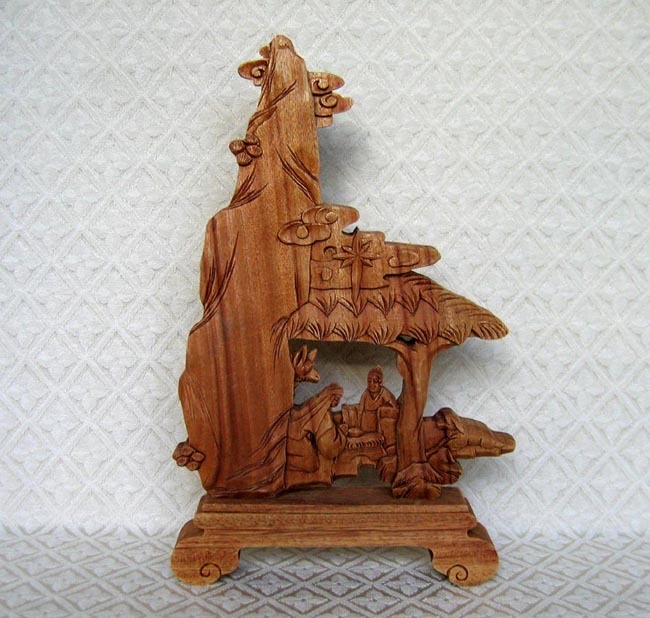 This carving depicts the Holy Family inside a stable built into the side of a mountain. Swirling clouds float toward the top of the mountain and above the stable. A star shines above the stable. The Holy Family is joined by a lamb on one side and a donkey on the other. The wood is aromatic camphor wood. The carving measures 9.5 inches tall.